Recently Joe and I were in a Whole Foods store where they had a sampling of figs. Green, brown and black figs cut up and ready to taste. We tasted all three and we decided the black figs had the most flavor. 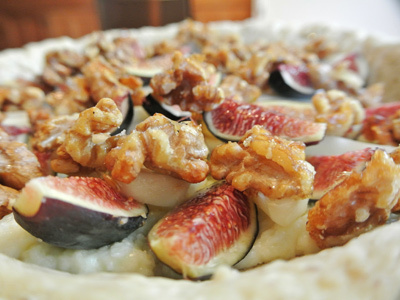 We picked up a few to take home and I started looking for ideas and recipes for a fig tart. I came across a recipe from a blog “Koko’s Kitchen” that looked and sounded delicious. 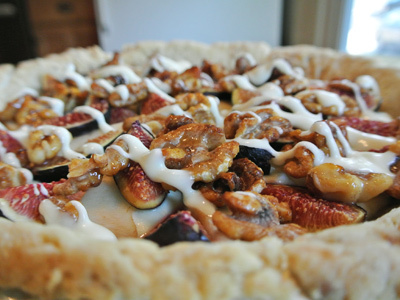 I took her idea of making a tart with a brie and ricotta cheese filling topped with honey glazed walnuts and figs. But where she made a pear sauce to go over top, I chose to add pear slices alongside the figs and make a cream cheese drizzle to add some sweetness. It was so different than anything I expected and was such a treat. It’s a little savory with the creamy cheeses complimented with the fig and pear which tasted so good. The cream cheese drizzle was like the icing on the cake, you had layers of savory cheese, natural fruit slices and a hint of sweetness over the top. 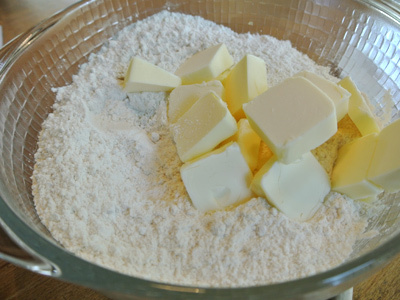 To make the crust you’ll need some butter, flour, walnuts, sugar, salt and some cold water. Toss the walnuts into a pan to toast 3 – 5 minutes. 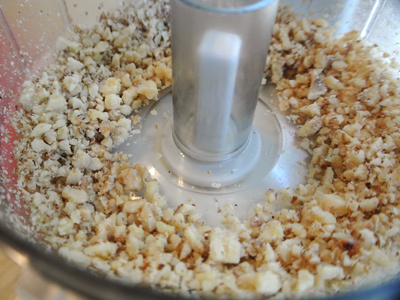 Once toasted, run the walnuts through a food processor. Since this goes into your crust, grind the walnuts to however fine or coarse you want. 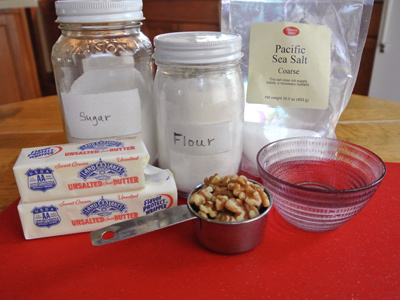 Combine the walnuts in with the flour, sugar and salt. Cut in the chunks of butter until the texture resembles coarse meal. Add 3 tablespoon cold water and mix just until the dough comes together. Place the dough in a plastic bag and chill in the fridge for an hour. 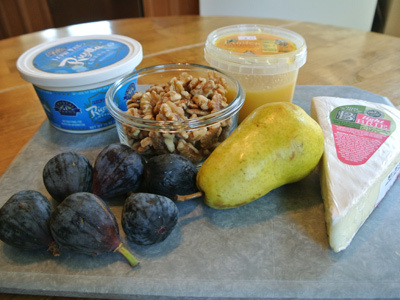 While the crust is chillin, I’m going to get started on the filling with 1 1/4 cups walnuts, 1/3 cup honey, about 6 – 8 figs, 1 pear, 6 ounces of Brie cheese and 1/2 cup ricotta cheese. 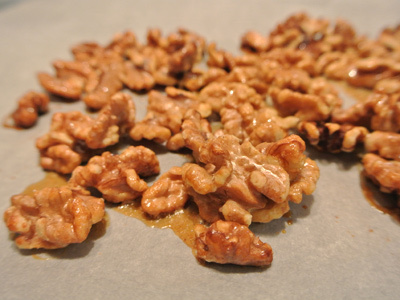 In a medium bowl, pour 2 tablespoons honey over walnuts and stir to coat. 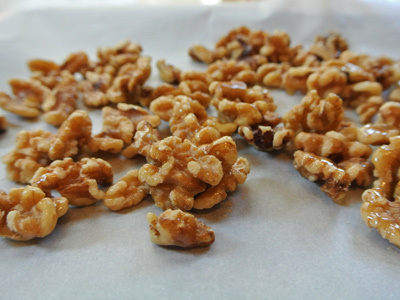 Spread walnuts on a cookie sheet lined with parchment paper and bake on 350 degrees for 10 – 12 minutes. 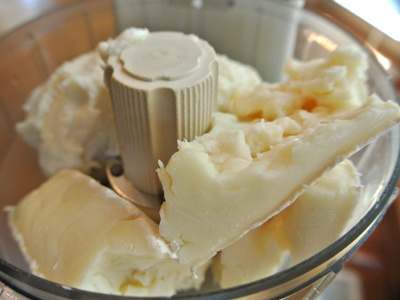 Combine the brie and ricotta in a food processor. Process until you have a smooth thick filling. Time to roll out the crust and press into a tart pan. I don’t have one so I’m using my deep dish pie plate. Line the crust with aluminum foil and weigh down with pie weights or beans. Bake for 15 minutes at 350 degrees. When time is up, remove the foil and weights and bake for 10 minutes more. Allow the crust to cool before filling. Spread the brie and ricotta filling, then start placing the figs and pear slices over the top. I used 6 figs but I think a couple more would have been even better. 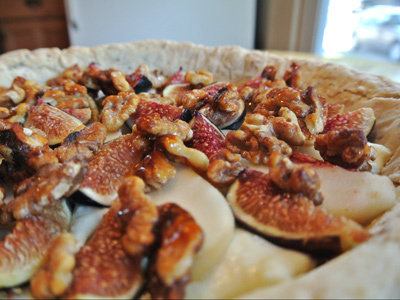 Next, layer the walnuts over the top of the figs and pear slices. Drizzle the remaining honey over top. Bake at 350 degrees 10 – 15 minutes or until cheese has melted and warmed the fruit pieces. Make a Cream Cheese Drizzle by combining 1/3 cup whipped cream cheese and 1/4 cup honey. Whisk until well combined and spoon into a snack sized baggie. 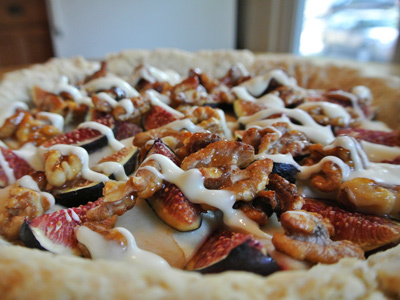 Cut the tip of the end and squeeze to drizzle over your fig tart. Save a little of that drizzle for each individual slice. You’ll be glad you did! 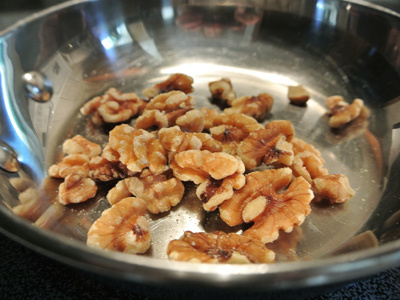 Toast the walnuts in a small pan for 3 – 5 minutes on top of the stove over medium to medium high heat. Toss them often and once toasted set aside to cool. 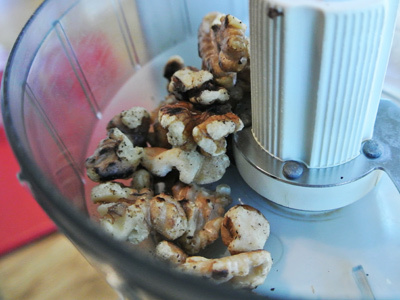 Run walnuts though a food processor until you have a light coarse ground. 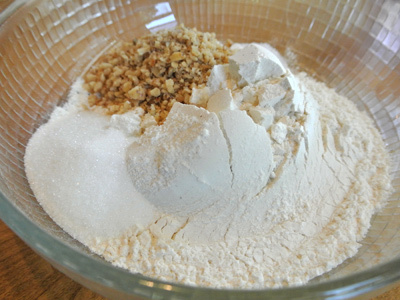 Combine flour, walnuts, sugar and salt in a medium sized bowl. cut in butter until the texture becomes a coarse meal. 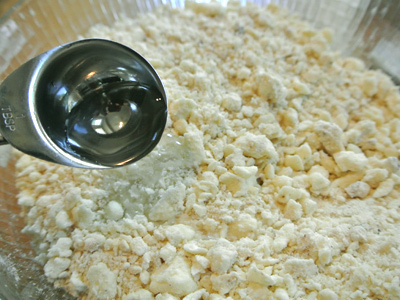 Add 3 tablespoons ice cold water and mix just until the dough comes together. 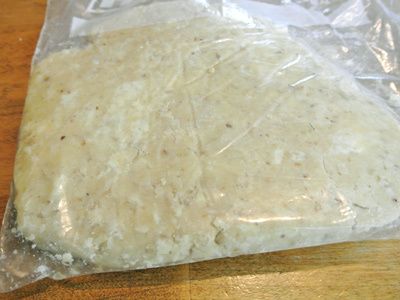 Put dough in a zip lock bag and chill for 1 hour in the refrigerator. Roll our dough on a lightly floured surface and place into a 9 inch tart shell (or in my case a 9 inch pie plate). Trim edges. Line tart crust with aluminum foil and weigh down with pie weights or dried beans. Bake for 15 minutes. Allow to cool. 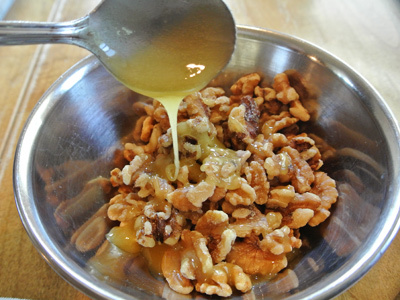 Drizzle 2 tablespoons of the honey over walnuts and stir to coat. Spread on a baking sheet lined with parchment paper and bake for 10 – 12 minutes at 350 degrees. Let cool. Combine ricotta and brie cheeses in a food process and process until mixture is smooth and creamy. 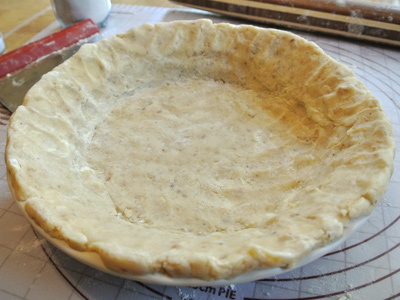 Spread mixture along the bottom of the tart shell. 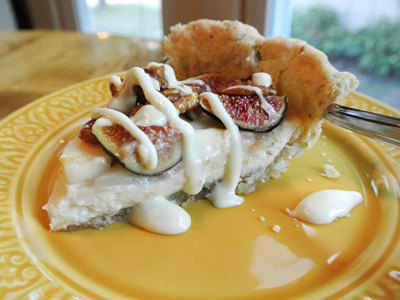 Arrange the fig and pear slices over the top of the cheese filling. Add a layer of walnuts over top and drizzle with remaining honey. 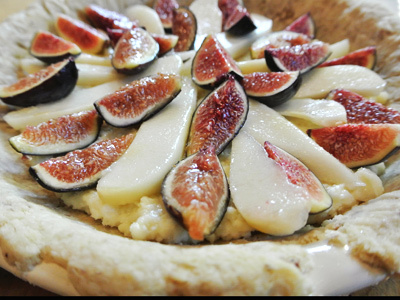 Bake at 350 degrees for 10 – 12 minutes or until cheese is melted and figs and pear slices are soft. Combine cream cheese and honey and whisk until smooth. Place in a snack sized zip lock bag, cut the tip and squeeze to drizzle over tart. Save some for each individual slice.